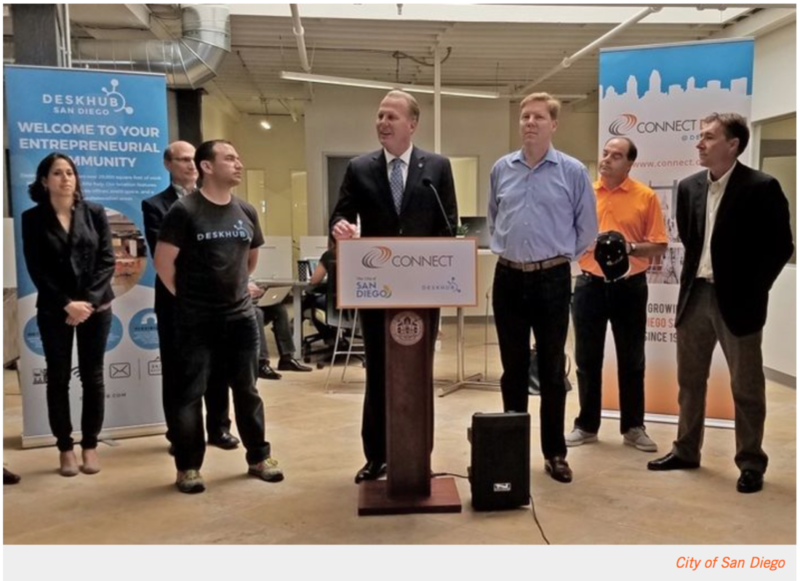 CureMatch CEO Stephane Richard was invited on stage during a press conference by San Diego Mayor Kevin Falconer, that announced highlights of the 2015 CONNECT Innovation Report. CureMatch is featured in the report. 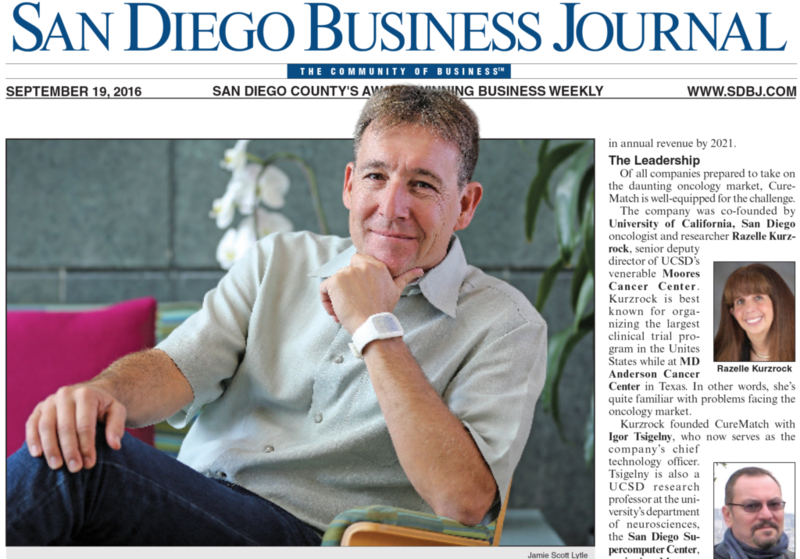 CureMatch CEO Staphane Richard, Ph.D. was featured today on the cover of the San Diego Business Journal. 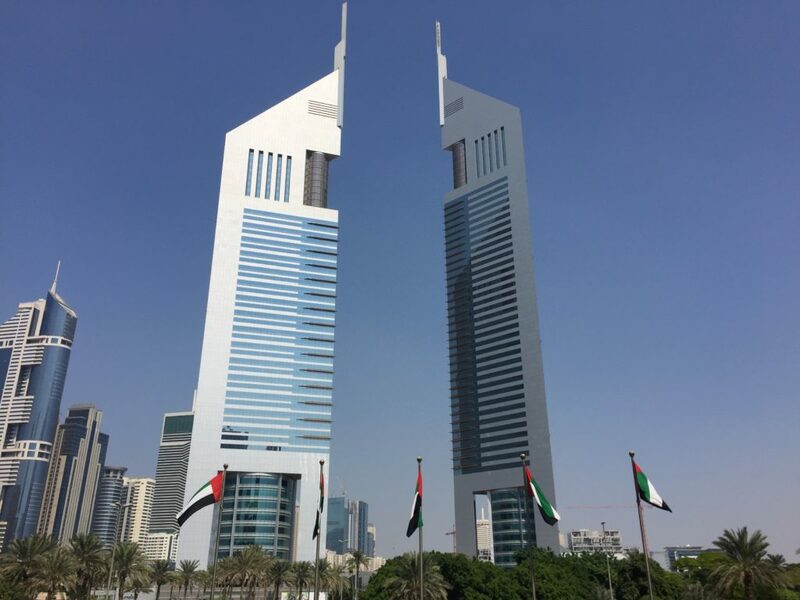 The article discusses the buzz surrounding the company, and the market opportunity that CureMatch is pursuing with its software platform. 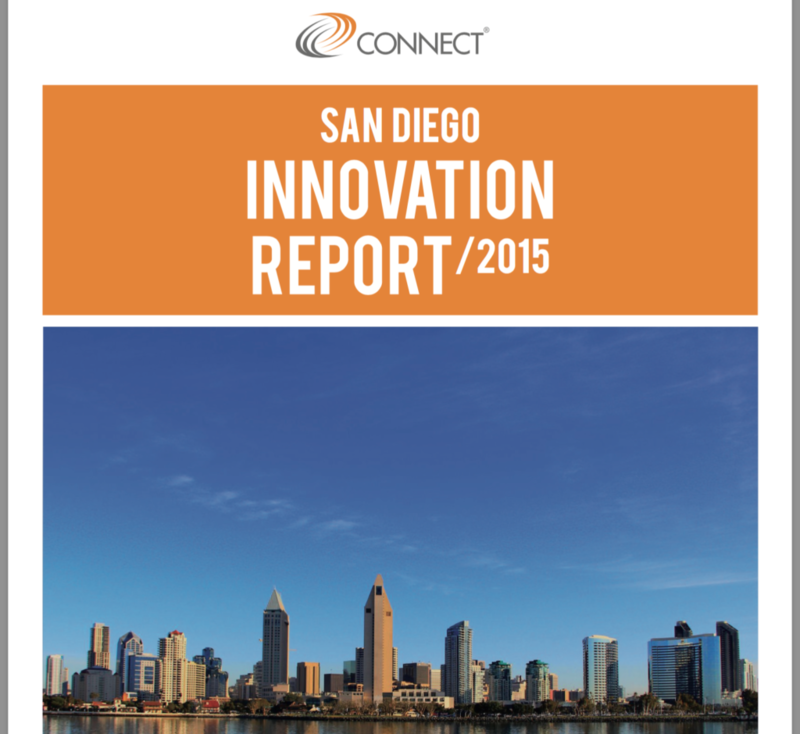 CureMatch has been highlighted in the “Startup Spotlight” of local, early-stage innovation companies in the annual CONNECT San Diego Innovation Report. 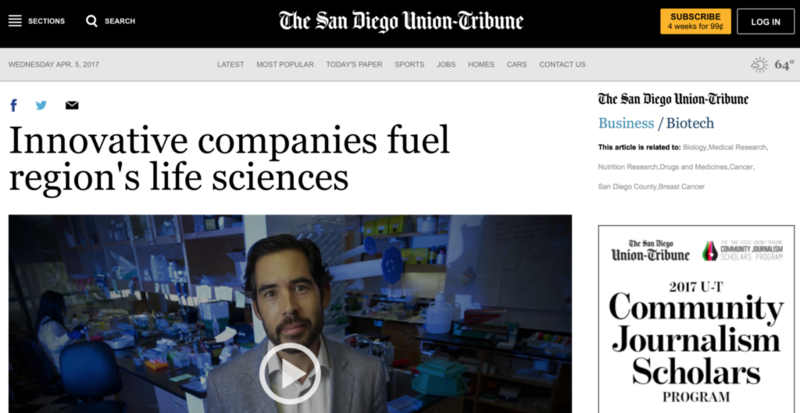 CureMatch today was mentioned in the San Diego Union-Tribune article “Innovative companies fuel region’s life sciences.” The article highlights several innovative start-ups, but SDUT biotechnology editor Bradley Fikes, focuses on the region’s life science startups and specifically, CureMartch. Read the complete article here.